Whether you are a carpenter or electrician, plumber or bricklayer, you’ll need something extra, apart from the necessary skill set your trade requires, to stand out from the crowd and succeed like no other. Construction is a team effort and the team is often quite large in size and varied in job profile and education. Like different wheels of a vehicle, a team has to move in sync to get the desired output. For all your technical skills, it’s your ability to work with the team, rather than just yourself, that will be the difference between tasks well executed or tasks delayed. The work you do on a day-to-day basis may differ, but one thing will remain the same: you’ll need to either take on instructions or give orders. With communication being such an important, pivotal skill to possess, any communication deficit can cause misunderstanding, delays and may even end up costing you. A quality demanded in both supervisors and managers alike, having a knowledge of the latest trends, plus an awareness of government policies will take you very far within the construction industry. Keen to improve upon this prized skill in the construction industry? Looking at Blogs, industry news and press releases are great ways to become business savvy. 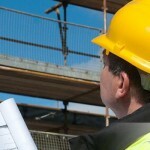 Being punctual and sticking to deadlines are key to every construction project. With construction being a team effort, any delay on your side will cause a ripple effect, affecting not only the deadline but the cost of the project. Needless to say that poor time management will definitely affect your career, now and in the future. At Construction Helpline, our range of construction courses can put you on the first step to gaining successful skills in the construction industry. Our team of construction professionals not only boast the above skills in abundance but are ready and willing to impart their knowledge, to help you advance your construction career. So what are you waiting for? Give us a call on 0207 199 9800 and apply for cscs card online without any hassle.